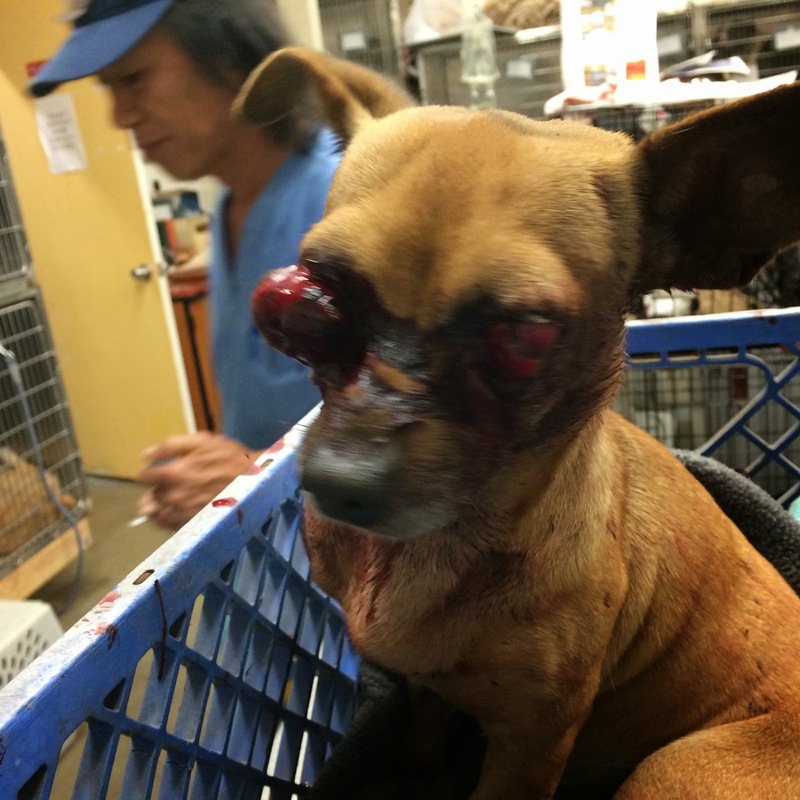 Dog hit by car. Please help! Hey you guys… Alex from PCC at 2009 W. Slauson Ave in Los Angeles just had this poor boy brought to the animal hospital in a box. He has to have BOTH of his eyes removed tomorrow, otherwise he could potentially die of infection- not to mention the pain he must have been in before they put him on meds. He was hit by a car and left on the road for dead. Someone was finally kind enough to pull over, pick him up and rush him in. Jesus. Can some of you PLEEEEEZE donate some money to help with his care?? He’s so sweet and scared. PLEASE??! The phone # at the hospital is (323) 294-4030. Please call and help out.